NATICK, MA, USA December 15, 2011 — Cognex Corporation (NASDAQ: CGNX) today announced a new wireless version for its next-generation DataMan® handheld industrial ID scanner, the DataMan 8000 series. The new wireless communication module and base station with Cognex Connect™ capabilities is now available for users with extended range cord free code reading applications. Cognex Connect provides the most flexibility for communicating via Industrial Protocols such as EtherNet/IP, PROFINET, MC Protocol and others in addition to traditional support for USB and RS-232. The DataMan 8000 series is the only industrial handheld ID reader to support industrial protocols for both corded and cordless models, allowing for easy integration, reduced installation costs and remote access to diagnostics. The DataMan 8100 includes all of the features of the DataMan 8500 readers, with bright field illumination. The DataMan 8100 readers are ideal for applications that require superior code reading performance without specialty lighting. 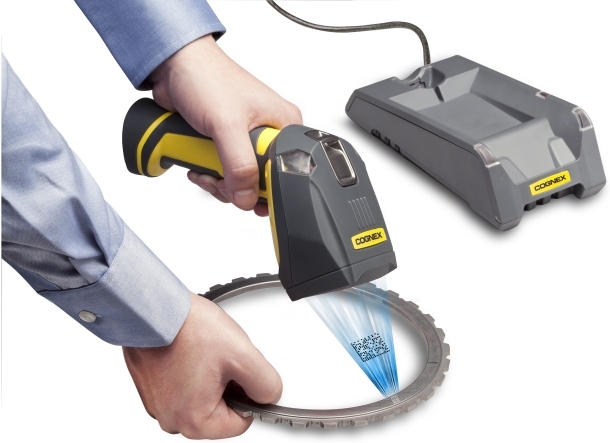 For more information about the DataMan 8000 series of industrial handheld ID scanners, visit www.cognex.com/8000.